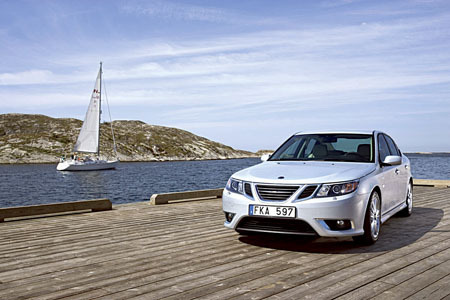 Reacting to the current economic conditions, Saab is making substantial price reductions across its Saab 9-3 range. The new prices effective immediately apply to the 9-3 sport saloon, estate and Cconvertible ranges. The 9-3 range now starts at €29,995, excluding delivery and related charges, for the 1.9 TiD (120bhp ) Linear model. That's a reduction of €4,575 on this entry level model (diesel ). Next up is another popular 9-3 model - the 1.8t BioPower Linear is now at €30,960, excluding delivery and related charges. That's a price reduction on this model of €4,740. Doug McCoy, general manager of Saab, says:”We recognise the difficult economic climate and have responded by offering motorists the Saab driving enjoyment, safety, and outstanding value-for-money specification at substantially reduced prices. These reductions apply across the 9-3 range of saloons, estates, and convertibles.